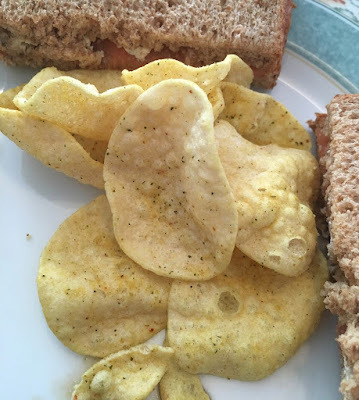 On some of these new crisps you can easily imagine the flavour appearing on the menu of a smart restaurant, rather than just being a new variety of snack flavouring. 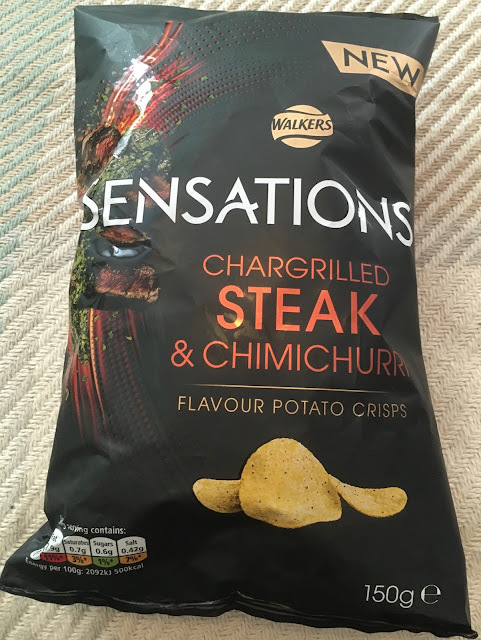 These Chargrilled Steak and Chimichurri flavour are Walkers crisps too, but admittedly in their posher Sensations range. I opened up the bag to share and the blast of herbs was incredibly appetising. They have to be one of the nicest aromas from a bag of crisps I’ve tried in ages. We shared some out with sandwiches at lunch. The crisps had a decent sprinkle of herbs visually and flavour wise that was also very true. The taste was impressive, there was so many flavoursome herbs mixed in, and a lovely tang of vinegar. The oregano was the star, and what followed in the taste was a nice smokiness that gradually developed into the beefy steak flavour. For me the herbs and mix of tastes that make up Chimichurri were a winner, and I loved every one of these crisps. The only negative is that the steak part is slightly sidelined, but I’d be loathed if they change the balance of flavours as they are so darned moreish as they are.